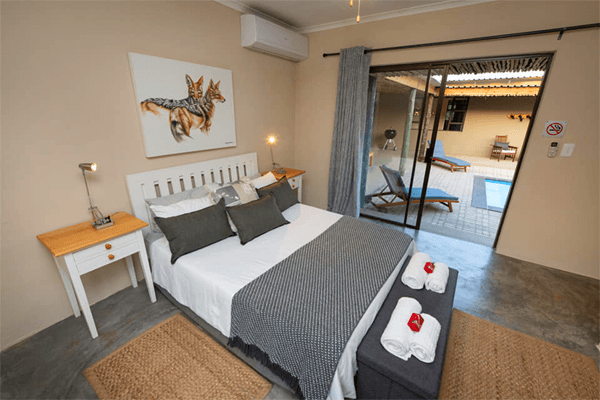 Situated between the Kruger National Park and the world-renowned Blyde Canyon, in a small town called Hoedspruit, where the warthogs freely roam the streets. This small conservation-orientated town offers many interesting activities and tours for the whole family. 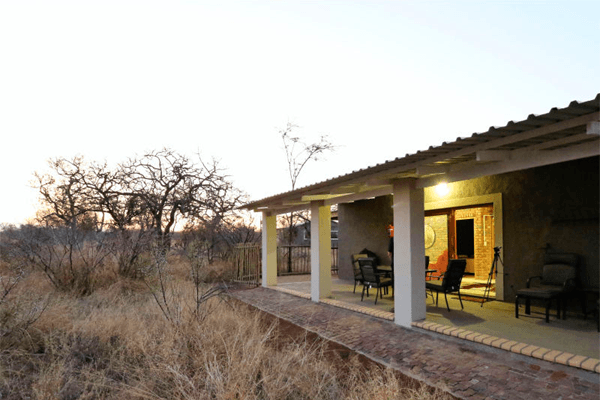 We are ideally situated to explore the Lowveld and surrounding areas and can assist you with all your travel needs or tours to experience the Big Five and the Kruger. Whilst staying with us, you’ll experience a lifestyle many people can only dream of ….. 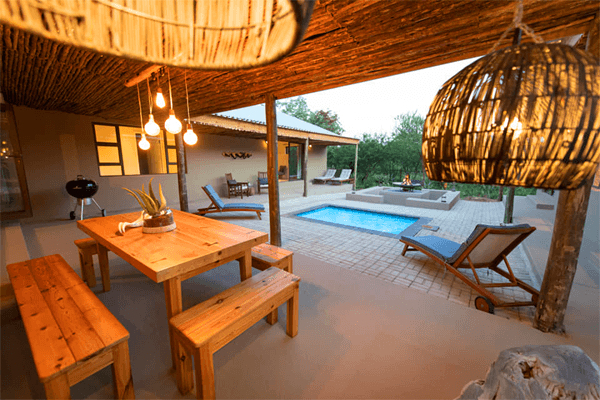 Sit around the fire at night and listen to the sound of the jackal calling in the distance to his mate or the hooting of the Scops Owl near your window and wake up to a chorus of bushveld birds singing in the morning. 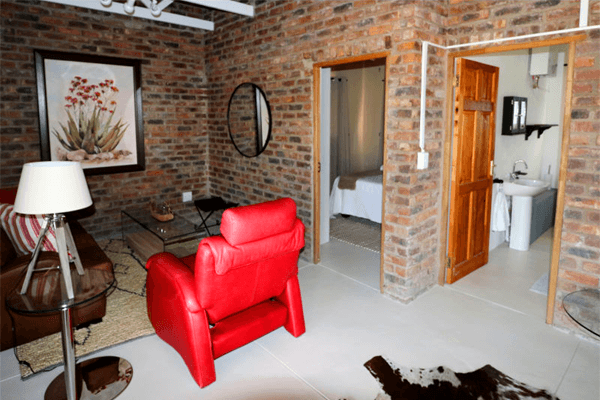 Come and relax in our bush chalets. Your home away from home. Stay as long as you like! Contact us for tailor-made deals on your accommodation. 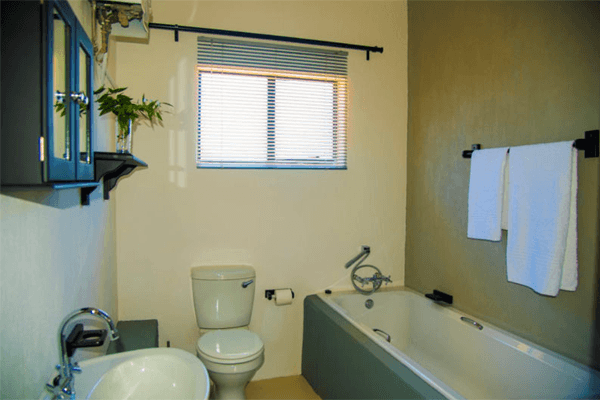 Each of our beautifully decorated chalets, consist of two bedrooms (sleep 4max), separate bathroom. 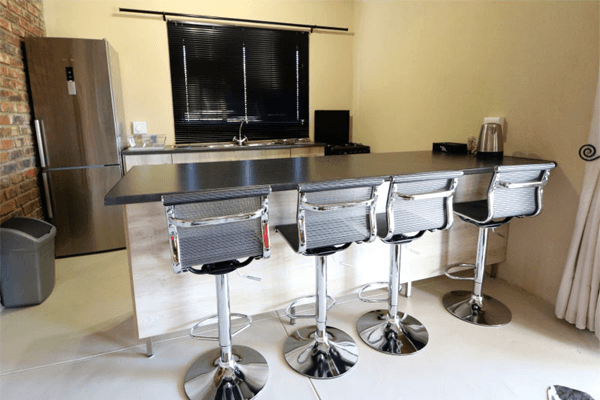 Our open plan kitchen is well equipped with quality appliances and kitchenware into a cozy lounge. If you need to take a break from cooking enjoy your weber braai on the veranda. If you long for a bush fire have a break around our fire pit at the communal area. At Route 40 you can relax and get away from the hustle and bustle of town. With only 4 chalets, you are welcome to book the whole camp with friends and family. We can arrange airport shuttle service, towels and linen, secure parking and our accommodation is family friendly. Enjoy bird watching, swimming at the pool and our Braai/Barbeque facilities with a great bush and mountain view. 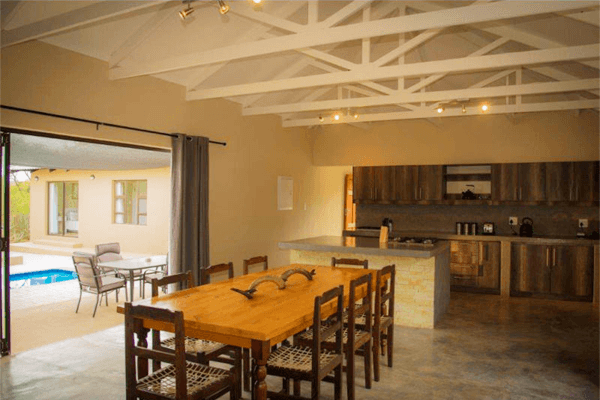 Our 8 sleeper house consists of 4 bedrooms, 3 bathrooms, and open plan lounge-dining room-kitchen. Our kitchen is fully equipped. 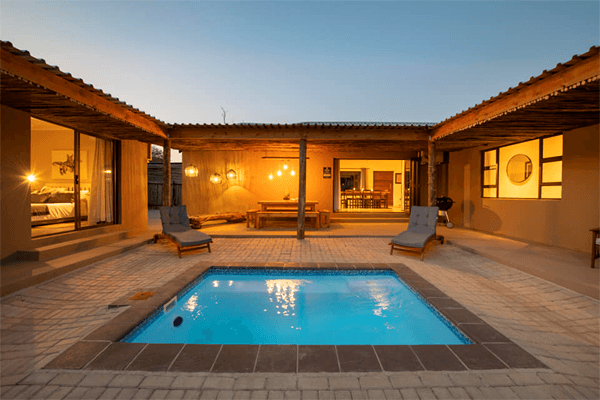 The lounge area has folding stacking doors opening to the patio with a swimming pool and braai area. Acacia corner does offer DSTV and Wi-Fi to our clients. Safe parking available for two vehicles. 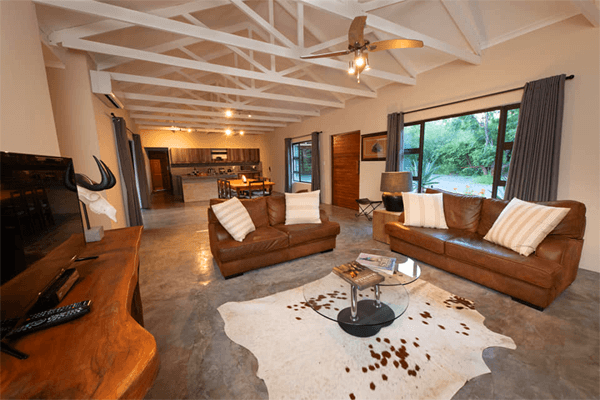 Acacia corner is ideally situated in Hoedspruit Wildlife Estate where zebra and warthogs and many more plains game roam freely on the estate between all the properties. 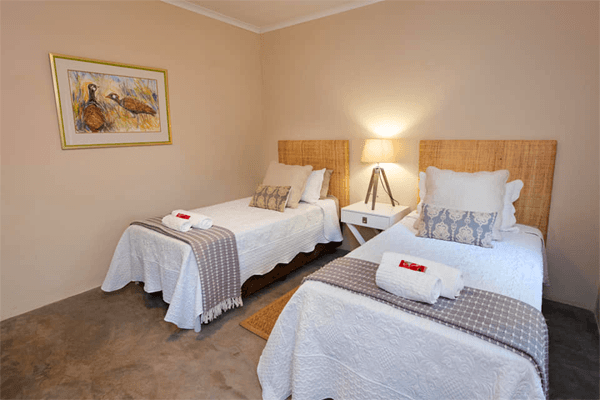 Staying at Acacia Corner you can do bushwalks, game drive in your own vehicle, mountain biking and sun downers at one of the dams on the estate.